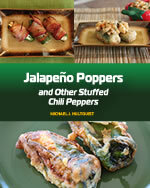 How Do You Calm the Heat from a Jalapeno Pepper? 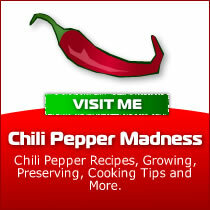 Have you ever put a hot, spicy pepper into your mouth on a wild whim and then suddenly realize that “Argh! This is too hot!” Of course this shouldn’t happen with the jalapeño, but it can happen with some of the other, hotter varieties of chiles, like the habanero. One bit of advice: Don’t Drink The Water! Pure capsaicin is soluble in alcohol but not soluble in cold water. Hence, instead of dousing the raging flame on your tongue, the water will only spread the spices around in your mouth and make the situation worse. Instead, try sugar or milk to curb that luscious heat (if you can’t take it, that is). 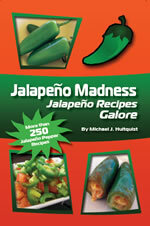 Dairy products contain a chemical called casein that deters capsaicin, the chemical that makes jalapeno peppers hot. After time, you can build up a tolerance to the heat by continuing to eat hot peppers in small doses, but you’ll always have the initial burst of spicy flavor with our friend, the jalapeño. 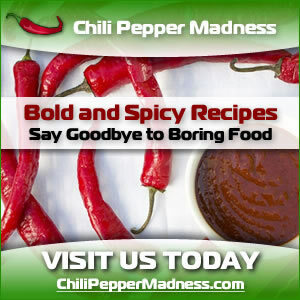 Additionally, when handling chile peppers, you should always wear rubber gloves to avoid contact with the pepper oils. The oils can cause a burning sensation on the skin. In a pinch you can use the yellow rubber gloves that many people use while washing dishes, but thin latex gloves work wonderfully for maneuverability. It’s really a lot easier to cut and handle the peppers with these types of gloves. Wear Gloves When Cutting Up Hot Peppers!